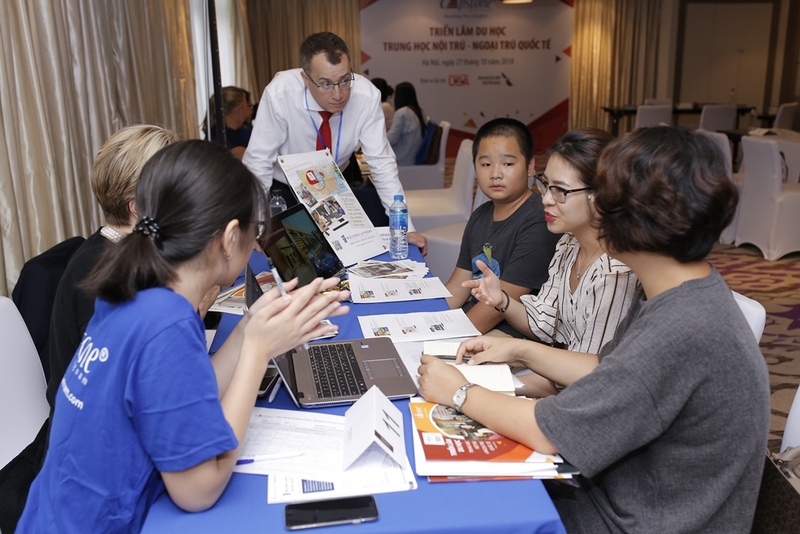 We cordially invite you to participate in our popular International Boarding & Day School Fairs from Saturday, October 26th to Monday, October 28th in Hanoi and Ho Chi Minh City (HCMC), respectively. Capstone advisers are working with growing numbers of students interested in attending an international boarding or day school in recent years, has a reputation for attracting quality and serious students and parents to its events. 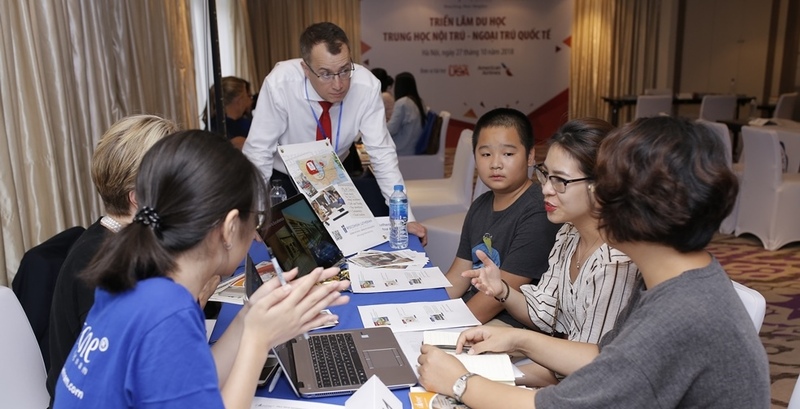 Demand for an overseas boarding & day school education remains strong among Vietnamese parents who can afford this life-changing experience for their children. Viet Nam has the fastest-growing percentage of ultra-high-net-worth individuals in the world, according to Knight Frank, and continues to boast one of the fastest-growing economies in the world. In addition, Vietnamese are among the most optimistic in the world about their economic prospects and in general. 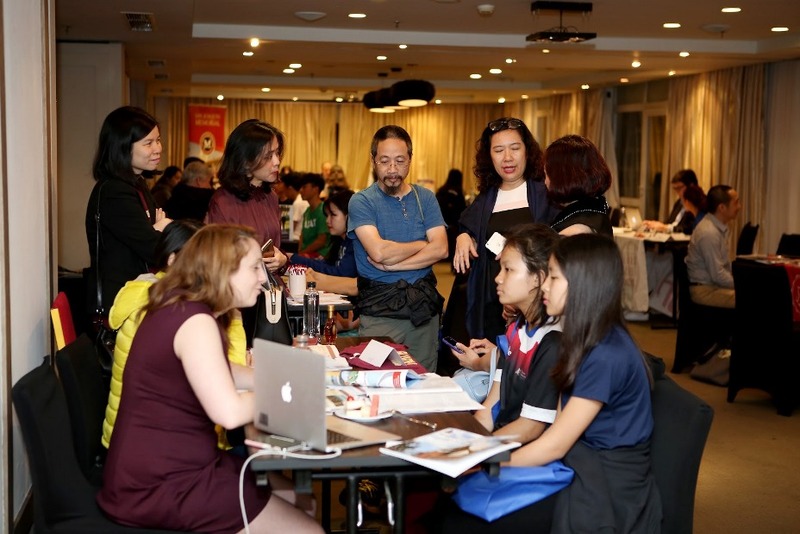 Fairs are an excellent way to introduce your institution to students and parents who are eager for information about school year study opportunities and summer programs at international boarding and day schools. In addition to the fairs, representatives are strongly encouraged to participate in school visits, which usually have a mini-fair format. 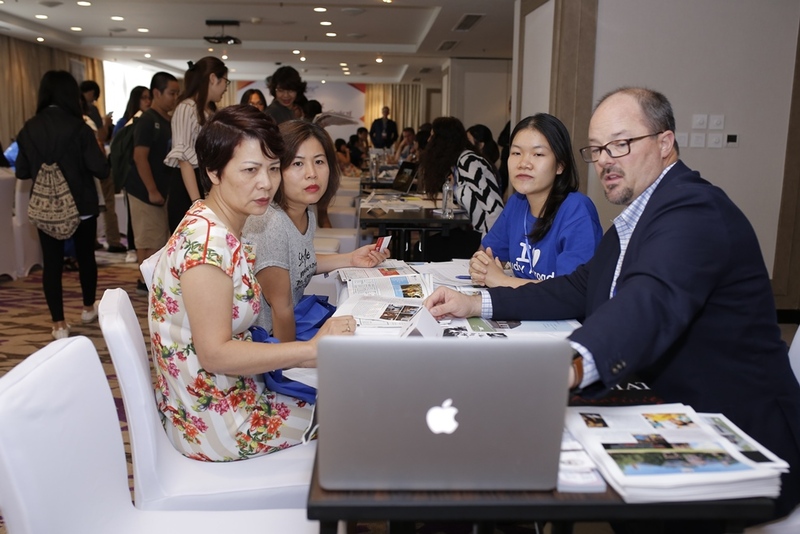 Our fairs are small in terms of number of participating institutions (about 15, on average), which allows more time for meaningful conversations and more time in which to make those all-important connections with parents and students. Quality: The quality of our service, staff, student volunteers, marketing, fair guide and other materials. Attention to Detail: We cross our T’s and dot our I’s, meaning we secure all the necessary permissions from the authorities for the fairs and related activities. Care: We take great pride in taking care of our clients on a professional and personal level, if needed or requested. Integrity: Our attendance is organic (e.g., we don't inflate attendance) and our marketing ethical and extensive. Post-Fair Follow-Up: We send an email blast to all student participants and follow up with phone calls. We are also happy to provide customized follow-up in Vietnamese at no additional charge. Only accredited and approved institutions are eligible to participate. Institutions may have a maximum of two (2) representatives, plus a student assistant who acts as an interpreter and assistant..
Each school will be assisted by a student volunteer, who will help represent your school and facilitate communication with students and parents. You have the option of contacting your student volunteer(s) before you arrive. This service is included in the fee. High school visits are scheduled on the basis of interest in overseas boarding & day schools, and ability to pay. 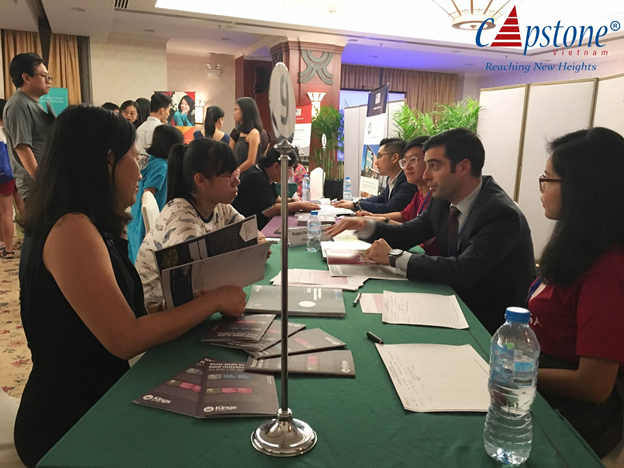 We recommend that you obtain a business visa from the Embassy of the Socialist Republic of Viet Nam or one of its Consulates General with a letter of invitation from Capstone Vietnam that will be sent to you as part of the fair package upon registration. Both fair venues are five-star hotels that are well-known to local students and parents. In addition to the fairs, we organize two secondary/high school visits per city. Lunch & Country Briefing: 12:00 -15:00 p.m. Note: “Literature only” means that a carefully screened and trained student volunteer will represent your school and be prepared to answer basic questions and collect student contact information. We will introduce you to your volunteers before the fairs so that you can communicate with them via email and online chat. Early bird: 10%, if you register by 2 August 2019. This is a special discount in honor of Capstone’s 10th anniversary. Capstone partner: 5%, If you’re not already a partner and are interested in becoming one, please let us know. There are a number of partner benefits that we are happy to share with you. Priority Registration Deadline: August 2, 2019. An early bird discount of 10% will be applied to your invoice, if payment is received by August 16, 2019. If you are based in the US, Air Concepts and OCS are Capstone Vietnam’s official fair courier services. Both companies have reliable in country teams. If you wish to ship your materials directly, your best choice is Fedex or DHL. However, even with Fedex or DHL, there are times when materials are held up in Customs and a fee might be required to obtain them. Occasionally, Customs does not release the materials in time. In addition to the usual pre-fair publicity, we offer several digital marketing options designed to generate additional interest in your school. We’re also willing to organize individual info sessions or coffee talks before or after the fairs on a first come, first served basis. Costs vary, so please contact us for more information. We publish a fair guide, which is distributed free of charge to all attendees. The fair guide provides basic information about institutions, including key selling points, tuition and fees, admission requirements, scholarship opportunities, etc. It also contains articles of interest to students and parents. 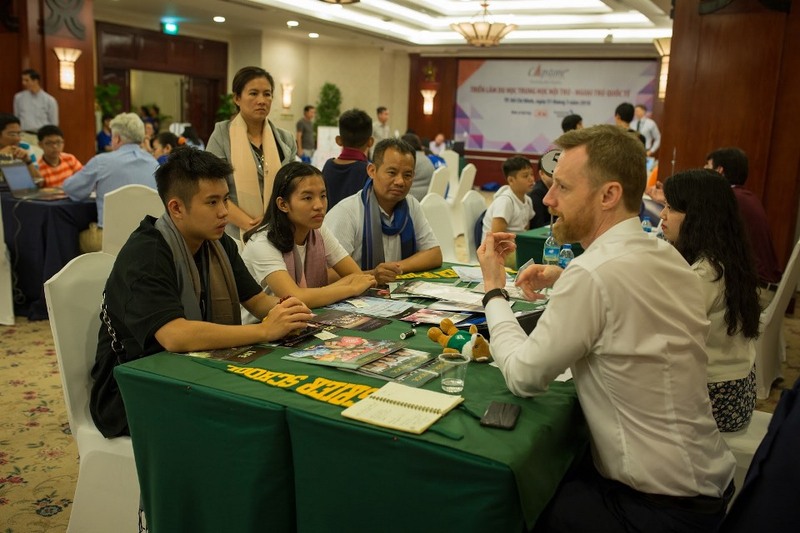 Extra copies of the fair guide are distributed at the offices of Capstone Vietnam, its events, and selected junior high/high schools until the next fair series. Follow these links to have a look at the spring 2019 and fall 2018 fair guides. We have a multidimensional approach that includes publicizing the events and the participating schools on an individual basis using social media channels, including Facebook, which is the #2 website in Viet Nam, and through own networks, which consist of Vietnamese of means who are interested in sending their children to a quality international boarding or day school. We strongly recommend that you have your basic promotional materials in Vietnamese. We can help you with translation and in country printing for a modest fee, which will save you money and time. We’re also happy to distribute these materials to other agents. Finally, this information can also be used in digital format on your website and elsewhere. It’s essential that students and parents hear from you as soon as possible after the fairs. We provide detailed post-fair follow-up for in the form of emails and phone calls to each student who expressed interest in your school starting with the “hot leads” that you have indicated as such. Advertising in the fair guide is open to all accredited and approved schools, regardless of whether or not they participate in the fair series. Advertising helps to brand your institution and signals your interest in welcoming Vietnamese students to your school. 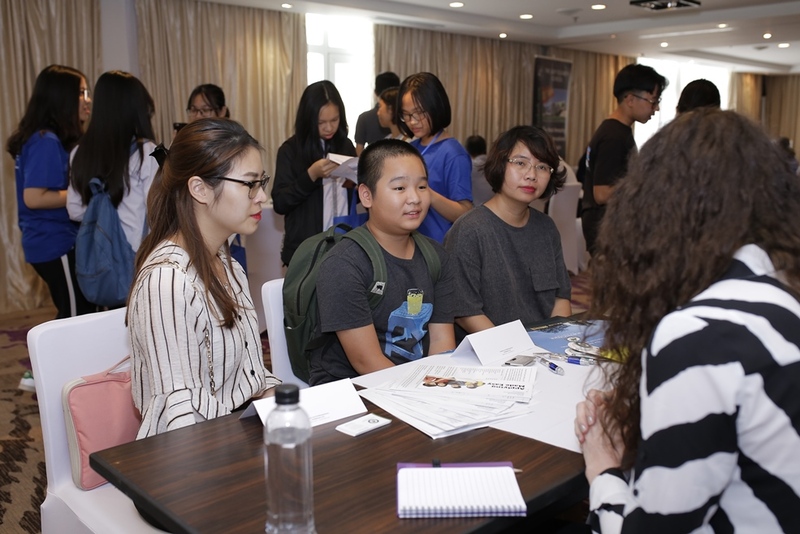 Those that do not participate in the fairs can use advertising as an opportunity for fair attendees and others to learn about the many advantages of attending their school.